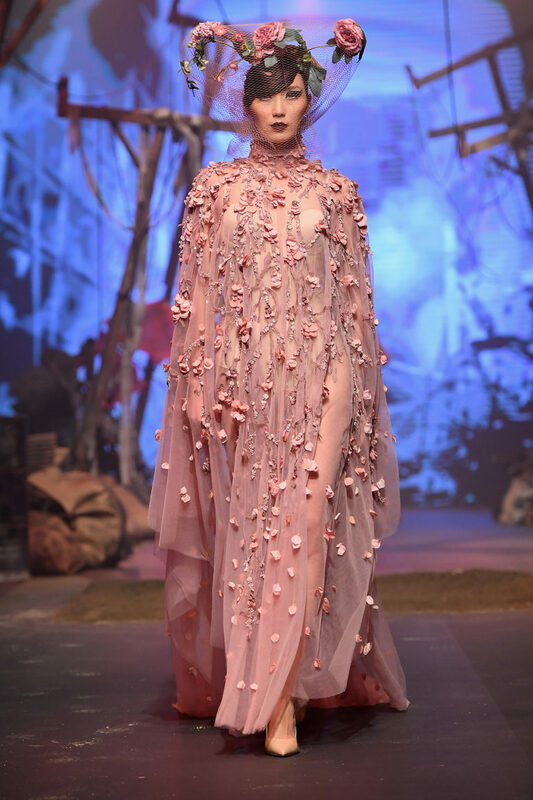 Furne One of Amato Couture, hailed as the ONE and ONLY couturier to the stars and royalties, is undeniably the most riveting tour de force of the fashion industry in the Middle East. The multi-awarded designer has an army of stars such as Katy Perry, Beyonce, Nicki Minaj, Jennifer Lopez, Shakira, Heidi Klum, Tyra Banks and many more adoring AMATO’s eccentric creations. Furne One also featured in both America and Germany’s Next Top Model which showcased his pieces for their finales. These countless accomplishments has vindicated One’s brand of the ‘Amato woman’ being strong, empowered, artistic, experimental and is not afraid of the dictates of fashion. Amato is the perfect paradigm of art and fashion colliding to a prodigious birth of fashion’s holy grail. Named after the designer’s daughter and inspired by her creativity and drive to follow her dream of building a fashion empire for the power women of the new era. In 2010, Chathuri won the International Young Fashion Entrepreneur award from the British Fashion council at the London Fashion week for her start up company ANAYA. Arwa Al Banawi is a contemporary women's ready to wear label tailored for "The Suitable Woman". 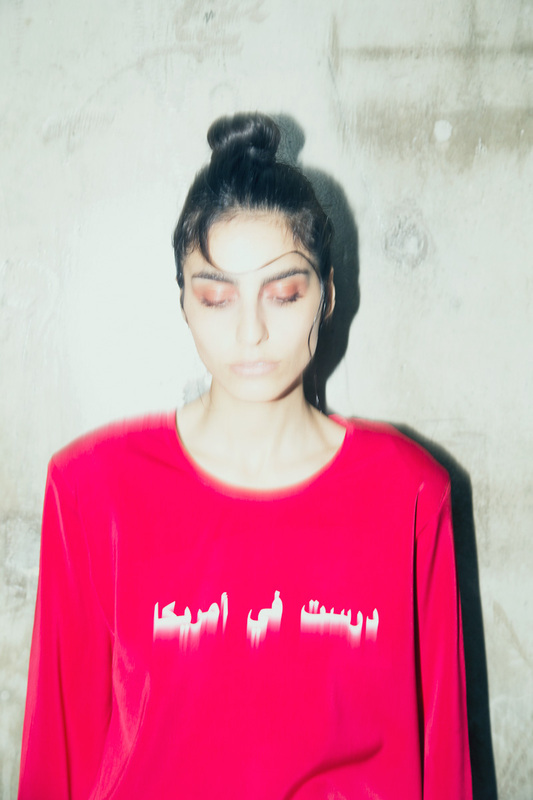 Like her eponymous label, Saudi-born designer Arwa Al Banawi is an eclectic mix of contrasts. While raised in conservative Jeddah, Al Banawi also spent a large part of her childhood in Switzerland. Her travels abroad instilled a deep love of and appreciation for fashion. A former investment banker, she saw a void in the market for womenswear that is both professional and fashion forward. After studying at the London College of Fashion in Dubai, she launched her namesake brand in 2015. Al Banawi's expertly-tailored suits in graphic prints have been spotted in the pages of Vogue and on street style stars across the world. Designed for "the suitable woman," her aesthetic is subtly androgynous yet undoubtedly feminine. 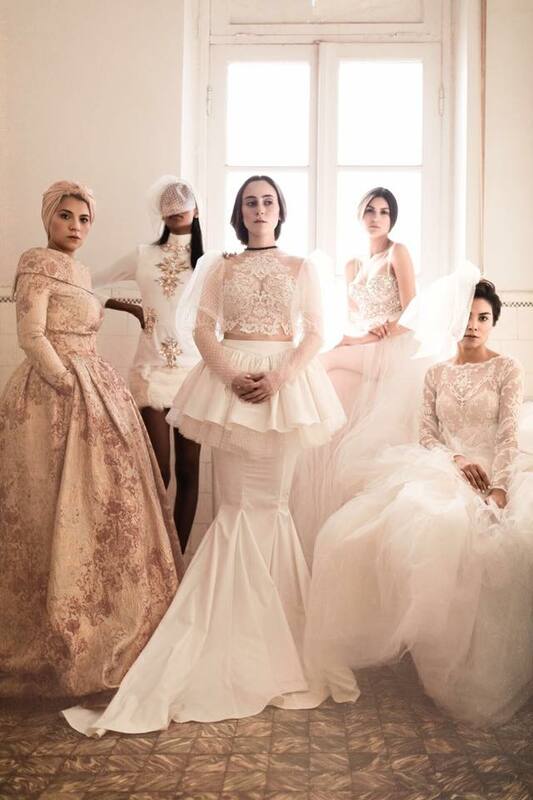 Atelier zuhra was established in 2015, under the proprietorship of the business entrepreneur mousa al awfi who supported her dream to build a unique couture atelier in dubai, to dress up women with glamour and perfection which she passed on to the new generation: her daughter, the business entrepreneur, Rayan al sulaimani who raised the bar by scaling up the scenes and designs to a more sophisticated and outstanding quality The company’s creative director, ryan pacioles, was able to develop his craft with sheer elegance and mastering silhouettes and the art of dress making, all of which have captured the eye of the women who love atelier zuhra’s dresses.Atelier zuhra magnifies the femininity of a woman with the expertise of fabricating delicate embroidery , outstanding quality & artistic design using precious elements which make atelier zuhra’s timeless dresses. Babak Vosoughi has successfully launched a clothing line which is a fusion of street style and modern art. Founded in 2005, BEHNOODE hails from Napoli, Italy, a brainchild of a passionate young Iranian born designer Behnood Javaherpour. Simple, yet elegant and unique, ready-to-wear with tailor-made quality men’s & women’s garments, seamlessly crafted using the best fabrics, are all hallmarks of BEHNOODE. The company prides itself with the innovative ideas and technical accomplishments, which have enabled BEHNOODE to expand over the past few years and enter the global fashion market. BEHNOODE’s goal is to continue creating a truly timeless label qnd aspiring to achieve a perfection that will become the norm. To continue creating designs of a quality that convey a sense of permanence in a world infatuated with the temporary. It is the story of legends. He came from a school of old craftsmen that taught him pattern making. It was in a little hub of old Dubai where he honed his skills and took his level of creativity to another standard. And then came those kaftans with that store SAUCE and together they championed a whole new cult of fashion and ready-to- wear, where just about every single woman in the Middle East fell in love with him and his work. He kept an almost elusive and reclusive profile to the extent that people believed he did not even exist and from there on it added even more allure to his personal and his product. Korean born Eudon Choi initially trained as a menswear designer in Seoul where he aquired an in-depth knowledge of tailoring techniques and a great eye for detail. He then moved to London, where he graduated from the Royal College of Art's MA in womenswear in 2006. Taking inspiration from art, architecture and historical figures, Eudon effortlessly combines masculine tailoring with a feminine sensibility. Focusing particularly on menswear detailing, he extracts the essence and aesthetic beauty he uncovers and reworks it. He aims to create garments that adapt to an individual’s personality and marry into their wardrobe, offering something unique, understated and intellectual. Since launching his eponymous label in 2009, Eudon has become a regular fixture at London Fashion Week. 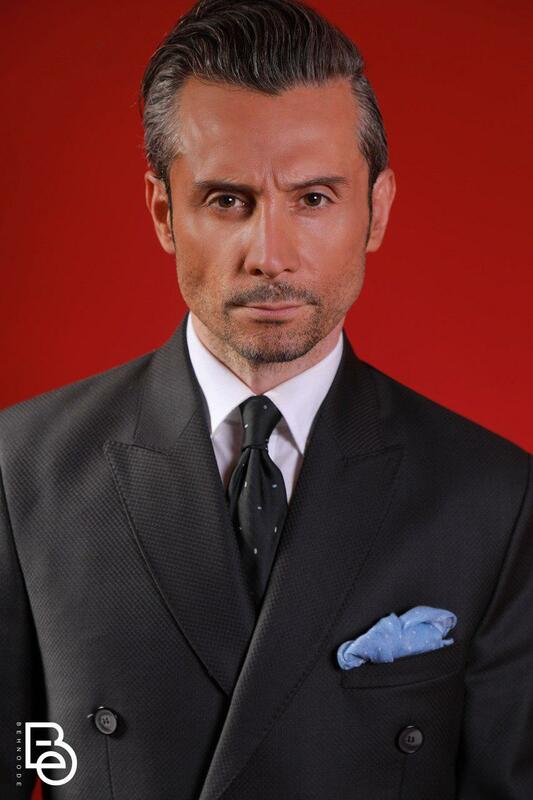 He has received numerous accolades from the likes of the British Fashion Council and the Fashion Trust initiative. 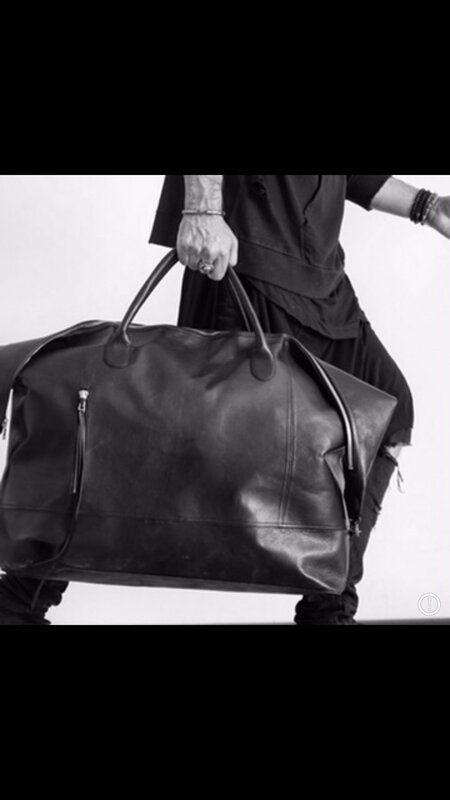 This season he is collaborating with Chris Habana for an exciting project, and with lifestyle brand Decke to continue their bag line and expand into footwear for SS18. Another noteworthy collaboration is his recent capsule collection with John Lewis. Beirut born designer Hussein Bazaza developed an appreciation of all artistic fields at a young age before enrolling at ESMOD Beirut. Graduating in 2011, Bazaza continued with an internship at Maison Rabih Kayrouz in Paris, and later worked for Elie Saab as a junior designer before launching his first collection in 2012 where he was selected by the Starch Foundation to launch his eponymous ready- to-wear line. Deeply attracted by Design, Joao entered the School of Decorative Arts António Arroio at a very young age, and frequented the Interior Equipment Course, and two years later, Textile Engineering where, for the first time, he was faced with the fascinating world of fabrics and fashion. Soon after he decided to create his own brand. He opened his first store and first Atelier of couture in the 80s, which emphasized the personalized service. Three years after opening, he realized his dream; an haute couture parade! For several years he was responsible for the designs of a Portuguese brand of sunglasses and prescription. In turn, another Portuguese brand invited him to realize the design of a collection of carpets, bed linen, towels and ceramics. Thus was born the brand "João Rôlo Home Collection". Lara Khoury, an ex-Starch designer, is a multi-disciplinary experimental designer whose work spans and unites the realms of fashion, interiors and film. Since 2012 Lara has presented at LK between Paris and Beirut, garnering recognition both locally and globally. Alongside her work in fashion she has worked on artistic projects and collaborations, and continues with such to fulfil her creative capacities. Sheikha Madiyah Al Sharqi, daughter of the Ruler of Fujairah, U.A.E, HH Sheikh Hamad bin Mohammed Al Sharqi, grew up immersed in the world of high fashion. Her eponymous label was founded after graduating from prestigious French fashion university, Esmod. Al Sharqi is an internationally recognised design talent, with a multitude of awards and collaborations to her name. As well as being honoured as a finalist in the 2013 Woolmark Prize’, she has beenecognised as a Vogue Italia ‘Vogue Talent’ and was awarded ‘Best Fashion Designer’ at the 2013 Arab Woman Awards; as well as having been worn by celebrities including Nicole Richie, Alessandra Ambrosia, Karolina Kurkova, Sofia Vergara and Kris Jenner. Playing with the contrast of dissimilar textiles, Madiyah's collections express an appreciation for beautiful fabrics and sophisticated needlework. Her delicate design aesthetic is consistent throughout her collections, while her creative inspirations shift from season to season. Mohanad Kojak; the founder/creative engine of Kojak Studio started his journey in his younger years when he was making dresses for cat-dolls. His demand for greatness pushed him to reach higher grounds in an industry that is built on sultry and fame; where he broke its standards and created his own genre of fashion. Kojak’s creations seem to reveal the exquisite details and special techniques that raise fashion to the level of true art. His work proves the imaginative ways fashion works with line, texture, and ornament to create sweep and volume, draping and pleating, illusion, and drama. He sees fashion as an art that persist in providing us with a quintessence of the most beautiful clothing that can be envisioned and make history. Winning many prestigious awards including the Royal Society of Arts Award, the Graduate Fashion Week ‘Best Womenswear’ Award and the British Fashion Council MA Scholarship Award; enabled Nabil to study at the Royal College of Art. He was the first fashion designer in the world to use 3D printing in June 2010 and is currently undertaking a research doctorate. In February 2015 Nabil was shortlisted for the prestigious LVMH Prize and invited to show at Paris Fashion Week. Here, Nabil’s utter devotion to his craft was applauded by luminaries such as Sarah Mower, Delphine Arnault, Nicolas Ghesquiere, and Karl Lagerfeld. 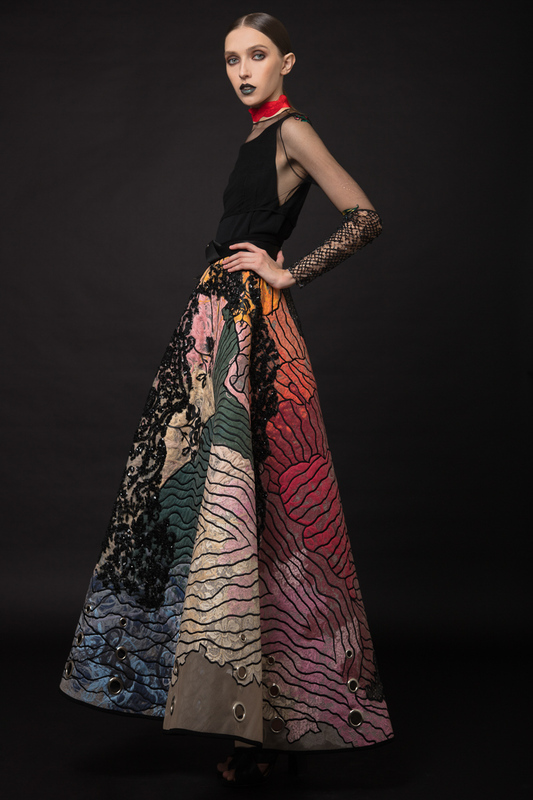 In July 2016 the National Museum of Scotland revealed a collaboration with Nabil Nayal, featuring two pieces from the SS16 collection alongside a host of iconic designers to form part of a new permanent exhibition dedicated to international fashion and textiles. Born in Alberta and based in Toronto, Sid Neigum was educated at the fashion institute of technology in New York and interned at Yigal Azrouël. Sid approaches fashion with the precision and reasoning of a mathematician. Applying modular origami and packaging design, his signature designs are respectively maximal and minimal. Since debuting in March 2011, Sid Neigum has experienced unprecedented growth and received numerous accolades, including the tfi new labels award, the Mercedes-Benz start up award, and the Swarovski award for emerging talent. Having won every major national competition for emerging fashion designers, Sid Neigum has set his sights internationally. In 2015, he was selected for the British fashion council’s next in line exhibition, and Milano unica’s on stage exhibition sponsored by the Woolmark company. This season, he will show at London fashion week as the winner of DHL exported. It was while studying Business Management in India, that Zareena first discovered what luxurious fabric combinations and rich embroidery could do to complement and enhance a woman’s beauty. This inspired her to begin her worldwide search for the exquisite textures, adornments and needlework that would one day become the trademark of her internationally acclaimed gowns. Working hard to prove herself she launched her first collection in the eighties and by 1994, Zareena was establishing her fashion house, Fasateen, in Dubai. before seen in the fashion industry. 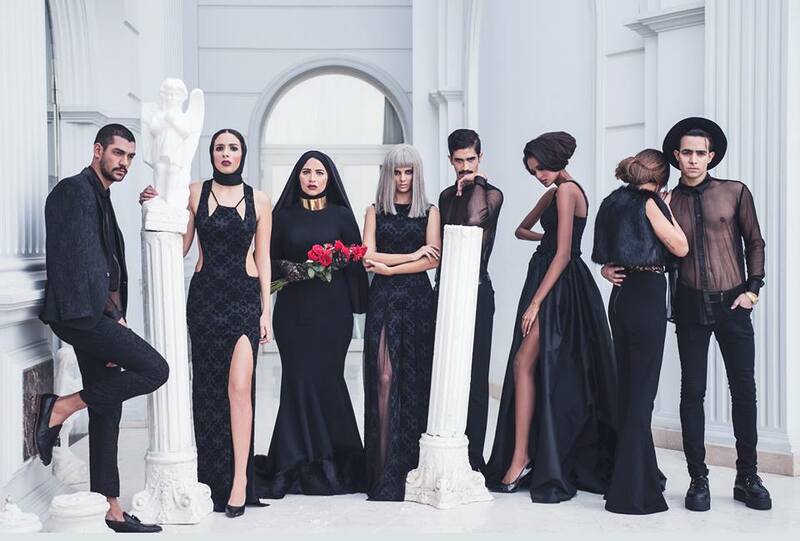 In a bid to cater to the different segments of the industry, and by overwhelming requests from both buyers and clients, Zareena is launching her more affordable ready-to-wear label “Zaroon by Zareena” in Fashion Forward Season Six.